If you need a go-to side dish, these Brown Sugar Glazed Carrots are perfect for you! The tastiest candied carrots recipe!! Even better, it takes less than 10 minutes to make and only requires 4 ingredients! 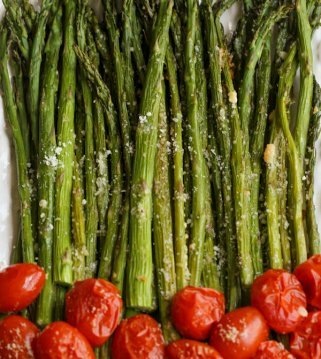 I LOVE finding super easy but delicious side dishes. This next recipe happens to be one of my all-time favorite side dishes ever!! 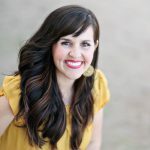 My kids love them, the hubby and I love them, and they are so easy to make. I’m sure most of you have tried cooked glazed carrots before, but the last time I made them they turned out super perfect, and I wanted to make sure I shared with you how I did them. Today’s brown sugar glazed carrots recipe is modified from Simply Scratch. I honestly think I could eat these every day, and it’s not because they’re carrots… it’s because adding butter and brown sugar to carrots makes them so stinking good! If all vegetables tasted this good, I wouldn’t have a problem getting my daily dosage! The butter and brown sugar really bring out the flavor, and the carrots become so tender after cooking them – like MELT in your MOUTH tender! And even though they’re buttery, they’re not heavy at all, which makes them easy to pair with just about any main dish! Bring carrots, water, butter and brown sugar to a boil in a pan over medium-high heat. Turn to low and simmer for approximately 6 minutes. Turn back to high and cook until all the water is evaporated and carrots are tender. It took me another 5-6 minutes. Remove from heat. Salt and Pepper, and enjoy! I could probably eat a whole bowl of these brown sugar carrots right now!! It’s definitely my go-to side dish. 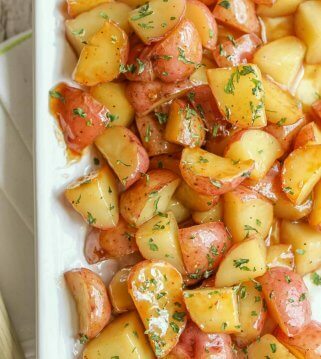 In fact, I love this recipe so much I tried glazing Red Potatoes – and it was also amazing! I hope you like these candied carrots as much as we did. TIP: For some extra flavor and texture, add 1/3 cup pine nuts, walnuts or pecans (chopped and toasted) after simmering for 6 minutes. Are these the same as caramelized carrots or candied carrots? Yes! The brown sugar is what makes them “candied” or caramelized. If you want more of the sweetness, just add some more brown sugar! Can these candied carrots be made ahead of time? We suggest making them fresh, but if needed you can make them a day ahead. Just store in an air-tight container and then to reheat, throw them back into a buttered pan and cook until carrots are heated through. Can brown sugar glazed carrots be made in the crock pot? Place the carrots in a greased crock pot. Combine melted butter, salt, pepper and brown sugar and water. Drizzle over carrots and mix until carrots are coated. Cook on HIGH for 2-3 hours or until carrots are tender. 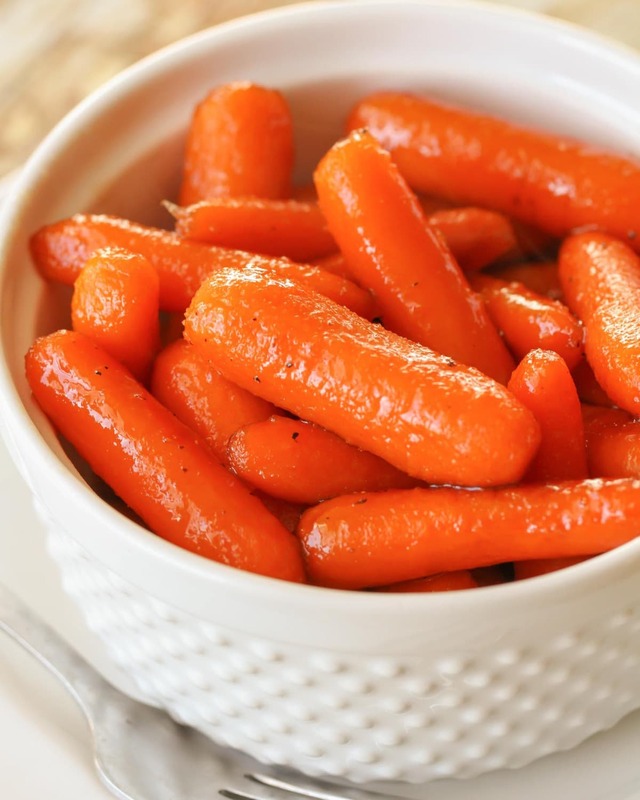 Place your baby carrots in a buttered casserole dish and sprinkle with salt and pepper. Sprinkle with 2 tablespoons brown sugar and drizzle on 2 tablespoons melted butter. Cover and bake at 350 for 1 hour. To cook in an Instant Pot or pressure cooker, place all ingredients in the pot, cover and secure the vent. Set the pot to “sealing”, press “pressure cook” or “manual” button”. Set the timer for 3 minutes. Once done, manually release the pressure by switching the vent to “venting”. You mentioned that you modified the recipe a bit. I’m not seeing your modifications? Super delicious!! My family will loves these!! Thanks for the recipe!! what size bag of carrots? Yes, what size? 1 lb? The first ingredient in the recipe says a 16 oz bag of baby carrots. That equals one pound. I made these just this weekend when my boyfriend’s parents were visiting, and they were a huge hit! 😀 Thanks a lot for the great and easy recipe! From now on I will make my carrots always like that, loved it! Love this idea! I will be trying this, I just bought a bunch of carrots and wasn’t quite sure how to prepare them. Yum! Do you think these could be done in a small slow cooker? This is a great recipe and the best way to cook carrots! Butter and carrots are such a natural combination, yum! And this is a great pull-it-out of the fridge recipe since no peeling is needed, great for when you need a quick veggie on the table! Tried these last night and they were awesome! I left the salt and pepper out. Thank you so much for sharing!!! I love this recipe and I always use it for thanksgiving and Christmas, but I use 1 bay leaf and no salt or pepper and they’re a huge hit! Oooh, great suggestion! Will have to try it with a bay leaf. Thx! I just stumbled up on these on pintrest, my picky 3 & 4 year olds LOVED them, even went as far as asking for seconds and stealing them off my plate! We now have 4 veggies they like! Oh and the hubs and I thought they where pretty amazing too! I LOVE hearing that!! 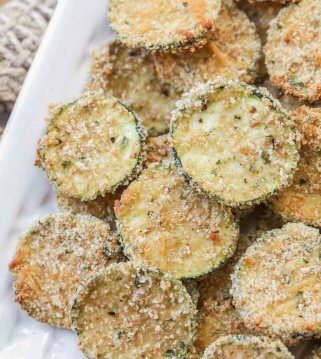 My kiddos like them too and I feel like I could eat them every night – they’re my favorite!! 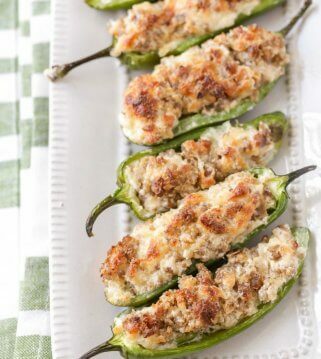 I made these tonight on a random whim (after finding them on Pinterest) and they were so good! I have never had brown sugar carrots– to be honest, i’m not a big fan of carrots– but I think I’m going to start making these more often! What sized bag of carrots did you use? Leave out the black pepper and add a bit of cinnamon and a sprinkle of nutmeg. We always called them Candied Carrots. 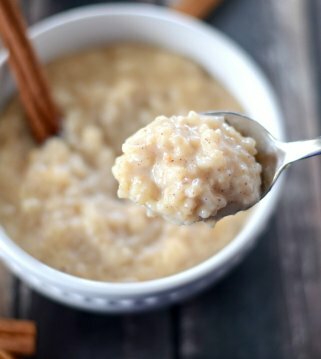 Never tried adding cinnamon or nutmeg but it sounds amazing!! Tried these tonight. They were so good! Glad I found this, it was a good change from regular boiled carrots. What kind of pan do you use please? Oooh – I’ll have to try that next time. Sounds great! The question was asked a few times in the comments, but I couldn’t find an answer. What size bag of carrots? 16 oz, 24 oz, or 32 oz? Just need to know so I can get the ratio of carrots to all the rest of the ingredients right. I was looking for the same answer. It appears the question has been asked a couple times with no response 🙁 I have everything ready to go to make them right now but I’m not sure how many carrots to use. I guess I’ll just steam a couple handfuls and try this recipe another time. Bummer. Great, thank you!! I had a 32oz bag (minus a couple handfuls from my 3yo) and when I dumped them into the pot I thought “this can’t be right”. Haha. Thanks for the info, I look forward to making this! These are really good. I finally found a good recipe for cooked carrots. Yay! 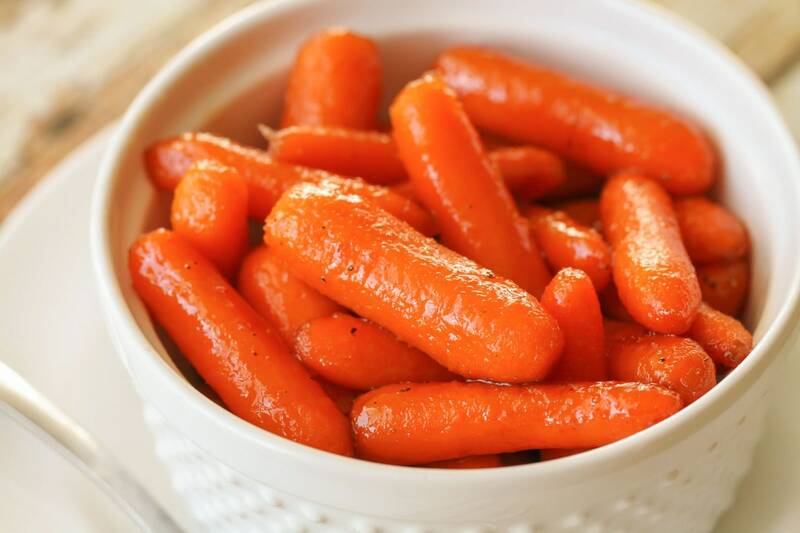 We love these carrots and are the perfect side. Thank you so much! Thank you, this is an amazing recipe; I make these carrots allllll the time! The only thing I do different is add a bit more brown sugar. Hi! I found your site while looking for something else. The Creamy Swiss Chicken Bake looked good. Before I could make it, my daughter-in-law made it for us and it was delicious! I am making it again tonight for my daghter & her family. I think it is a forgiving recipe. I slathered some of the mayo/sour cream mixture on the chicken first, then the Parmesan cheese then the slice of cheese. For her family I used mozzarella cheese since her husband isn’t a swiss cheese fan. I ended by using some more “goop” (sorry, but that is the best way to describe it). We’ll see how it turns out, but I would think it will be delicious! Haha…that’s great!! Thank you for making it! So, do I!!! Thanks so much for stopping by! I want to make these for Thanksgiving but not sure how many 16oz bags to use for about 25 people. Any suggestions? Thanks! I would just maybe double it. I know people don’t usually serve themselves a large amount of carrots, but really if it looks like not enough, add one more bag 🙂 Hope everyone loves them! 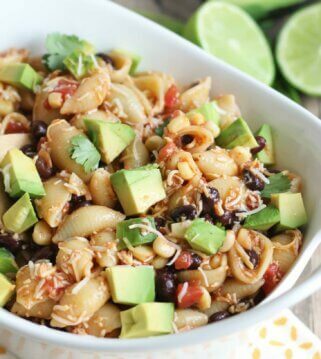 Really good recipe, and really easy to make. That’s why I love it! Glad you think so, too! Thank you! Lovely menu and by the ham being in the crock pot, the oven is free for sides. Thank you for publishing an easy dinner with food even the children will enjoy. Which kind of brown sugar – dark or light? Do you cover when cooking carrots? No, you don’t need to 🙂 Hope you like them, as much as we do! I followed the directions exactly and everyone loved these carrots. I will be making these often. Thank you! Aren’t they so good?! I am glad they were a hit! Thank you! 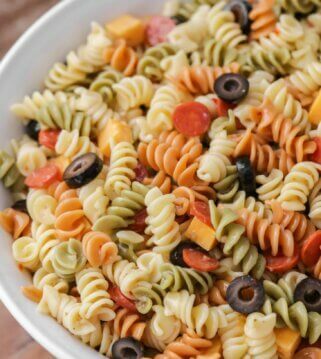 I needed a last minute side dish for a Sunday dinner at my in-laws and was able to throw this together super quick! It was SO simple and quick to make, and everyone loved it! 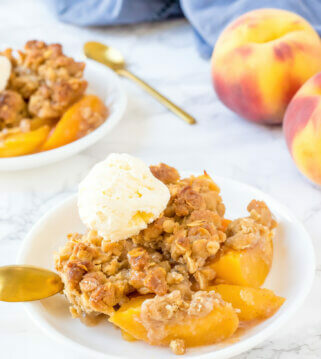 Definitely keeping this recipe on hand!! A pretty simple side dish that requires hardly any work and taste so good. 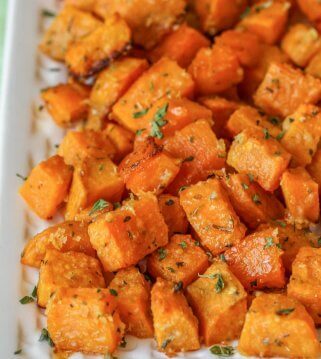 Perfect side dish for any meal and would be good for Thanksgiving! 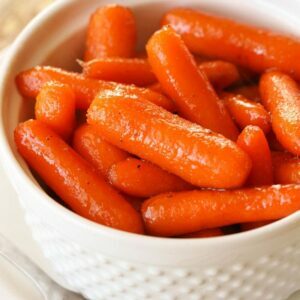 I don’t usually like warm carrots, but I had these recently & they were so good!! The brown sugar adds so much flavor! 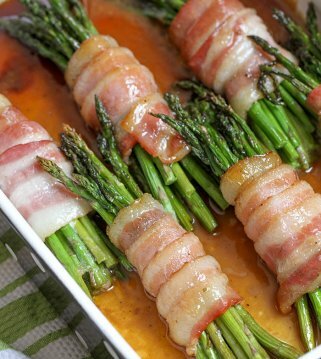 I can’t wait to make these for thanksgiving! 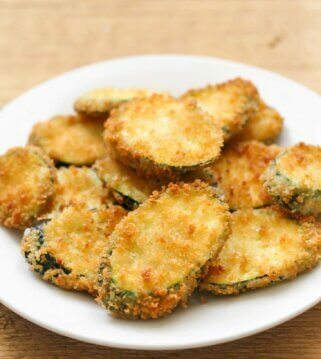 This is my husbands all time favorite side dish to add to any meal. 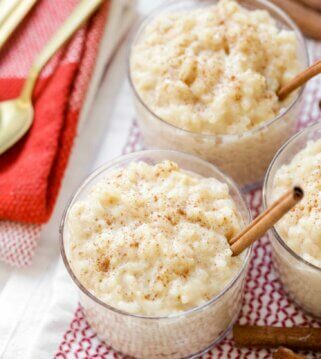 Its so simple and the brown sugar adds such a great flavor. It is 1 tablespoon plus 1/2 tablespoon 🙂 Hope you like these, as much as we do!! Are the carrots covered at any time using this recipe? Nope 🙂 Hope you like them, as much as we do!! Been looking for a RECIPE like this for my husband. TRIED them tonight for supper. Delicious! I can’t wait to try the crock pot recipe. Thank you for sharing it. I am glad you found it!! Thank you for trying it & letting me know! 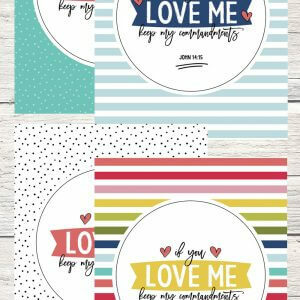 Love this not over sweet. perfection! My 5yo still wont eat a carrot bUt everyone else loved Them! Yay!! Yeah, I have a few picky eaters too 🙂 Thank you so much! I don’t have any baby carrots on hand, but I do have lots of full size carrots cut into sticks. Would this recipe be the same if I weigh out the same amount as a bag of baby carrots? Or would they cook too quickly? The webpage is way too busy. Can’t find the ingredient list due to all the extraneous stuff. I will try the recipe, as it seems good. Perfect!! Glad you liked them! I made these tonight and they were amazing! I had to cook them a little longer than the suggested time, but everything turned out perfectly. I will definitely be making these again. Glad you liked them!! Thank you for trying them!